Jauja (Dir. Lisandro Alonso, 2014) is screening at GFT until Thursday 23rd April. My accompanying programme note will be available at screenings – the physical copy is a little edited for space (though not by me and I’m a little scared to check it); you can download it here. Alternatively, the full, unedited version is on GFT’s blog, here. GFT archives all its programme notes online here. By the way, if you have any thoughts on Jauja or my note, I’d love to hear them – post a comment here or on GFT’s blog (or you can even email me here). 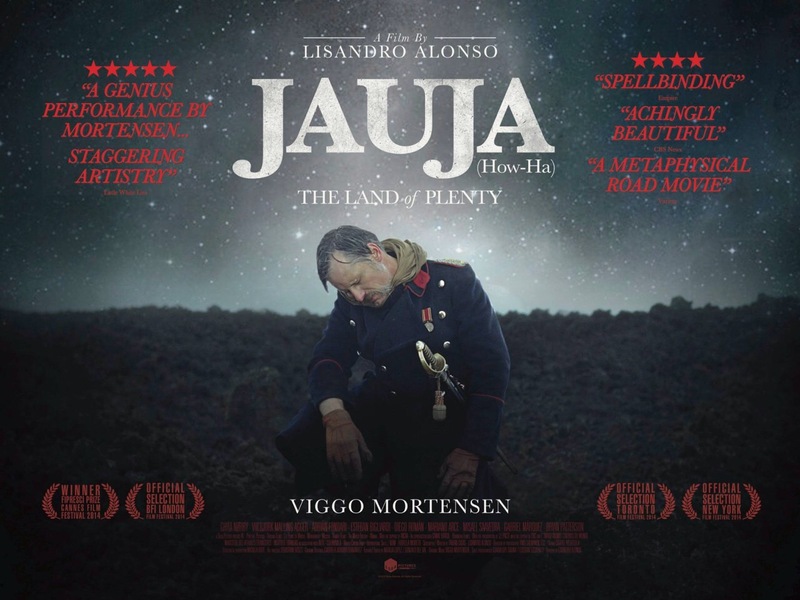 This entry was posted in GFT, Glasgow, Programme Note and tagged Cinema, Film, Glasgow, Jauja, Lisandro Alonso, Movies, Viggo Mortensen. Bookmark the permalink.